I've come upon an extra copy of Marc Angel's "The Search Committee," and because I love you guys and the past month has been a big ole' month of giveaways, I thought I'd keep things rolling. I want to leave this giveaway open until I get back from SXSW Interactive next week, so the official drawing for this book will be on Thursday, March 18, 2010. How can you enter the contest? 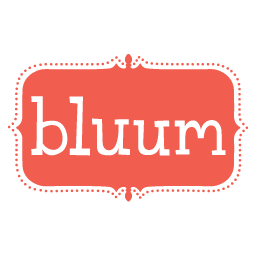 Comment on this post with the best book you've read -- fiction or nonfiction -- in the past few months. As if we ever talk about anything at else around here anymore? Books are my joy, my life, my livelihood! As evidenced in my bookworm/bibliophile post of recent. I'd wanted to do this in a vlog, but I'm just not in the mood, and I'm in desperate need of a haircut. So for now, this is how we'll roll. 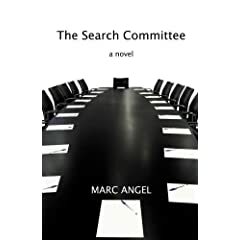 I've been meaning to write about Rabbi Marc D. Angel's new novel, "The Search Committee," for about three weeks now. The rabbi was kind enough to send me a copy of whose words I devoured quickly and with delight. To be honest, the book is an incredibly quick read. I do find it interesting, though, that his name appears on the book as "Marc Angel" and not "Rabbi ..." But maybe I'm just nitpicking! So first, some background on the rabbi. Rabbi Angel is the rabbi emeritus of Congregation Shearith Israel of New York City (a Sephardi congregation), and is the founder of the Institute for Jewish Ideas and Ideals -- a group which I highly recommend you look into. They put out oodles of interesting papers and responsa about issues facing Orthodox Judaism, not to mention the greater Jewish community. Rabbi Angel is the author and editor of more than two dozen books, and this is his first work of fiction! How exciting for him and for us, eh? So where to begin? The story revolves around a series of testimonials issued to the search committee at a prominent Yeshiveh. The most recent rosh yeshiva has died, and his replacement is to be made by this search committee. There are two rabbis in the running -- one the son of the former head of the school who is essentially staunchly similar to his father and maintaining the present order, and the other a younger rabbi who comes across as very modern in his Orthodoxy. 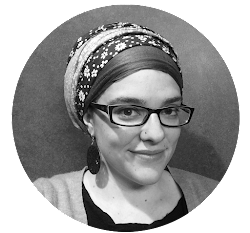 We hear from each rabbi, their wives, students, philanthropists who give to the school, yet interestingly -- we NEVER hear from the committee itself. What a juxtaposition for the book to be titled as such and yet the committee never graces our presence. Many of the characters are entirely believable, their testimonies sounding as though they were truly coming from the mouths of real individuals. Other characters, including (in my opinion) the deceased rosh yeshiva's son, seem almost unreal in their outrageousness. I do appreciate that the characters -- both those believable and perhaps not so much -- are deeply encamped in their Jewishness. As characters are giving their backgrounds and how they arrived at the present situation, we get long, meandering stories with often unnecessary details -- I can picture the traditional rabbi and his wife at the meeting, as if standing at the pulpit, carrying on and on with over-emphasizing hand gestures and a deep accent. The book is written very much so that we can sympathize with one party over the other, I think, and it is quite obvious that there is a message here about the old versus the new, tradition as it evolves, and the world of the yeshiveh and Orthodoxy in general -- as it accepts outsiders, new ideas and approaches, and makes decisions about the future of how it schools its children. But to be honest, the book's outcome absolutely surprised me, and I think that for those who take the chance to pick the book, you also will be surprised. The book seems to lean one way -- it is cut and dry that there are two definite sides of Orthodoxy here -- but the outcome chosen by the search committee left me feeling perplexed and almost uncomfortable. But perhaps that is Rabbi Angel's intention, and if so, then I applaud him for a well-composed book that questions what we know and what we think we know. I think anyone and everyone should pick up this book. I imagine Rabbi Angel has unique experiences that allow him to assist us in delving into the world of the yeshiva and the schisms between more traditional Orthodoxy and more modern Orthodoxy. It is, as I said, an incredibly quick read. So nu? Pick it up already!